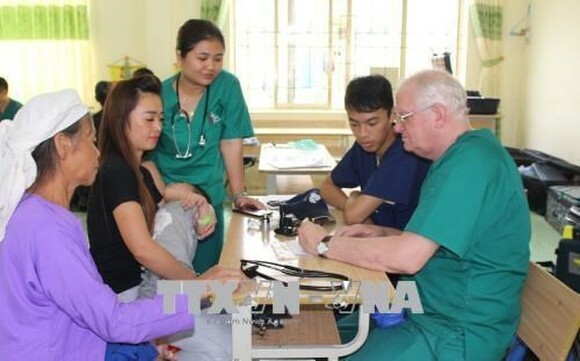 A team of American volunteer doctors provided free medical examinations for about 2,570 poor people in the northern mountainous province of Cao Bang from July 9 – 19. 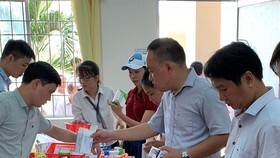 The medical aid workers from the Good Samaritan Medical Dental Ministry (GSMDM) also offered free medicine to people from the district of Bao Lam, Bao Lac, Ha Quang, Tra Linh and Hoa An. 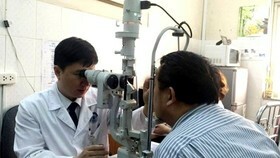 After the medical screening, 53 people who needed acute hospital care were admitted to Cao Bang General Hospital. 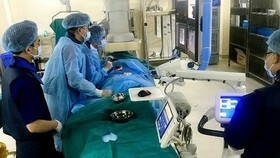 Twenty six of them received surgeries from the US doctors at the provincial health care facility while four others were transferred to central hospitals. 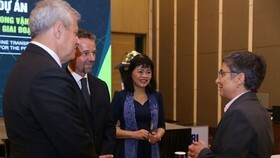 In addition, the team presented 500 gift packages to pre-school children and elementary school students in the communes of Quang Thanh (Nguyen Binh district), Hong Quang (Quang Yen district), Binh Duong and Bach Dang (Hoa An district). 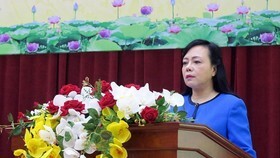 During a meeting with the team on July 19, Chairman of the provincial People’s Committee Hoang Xuan Anh awarded the doctors with certificates of merit in recognition of their contribution to the rural community in Cao Bang. 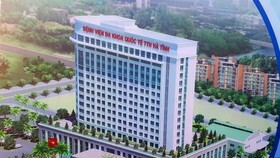 Founded in 1999 by a Vietnamese-American doctor, Vien Doan, the GSMDM sends a team of physicians, surgeons, dentists, optometrists, pharmacists and students to the rural poor in Vietnam through field clinics and surgical services, provided at no cost. 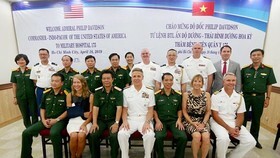 The first GSMDM team, including one physician and four young adults, made their trip to Vietnam in the summer of 2000. 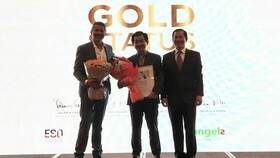 They treated 1,100 people in 10 days in the Mekong Delta on a budget of $12,000 .